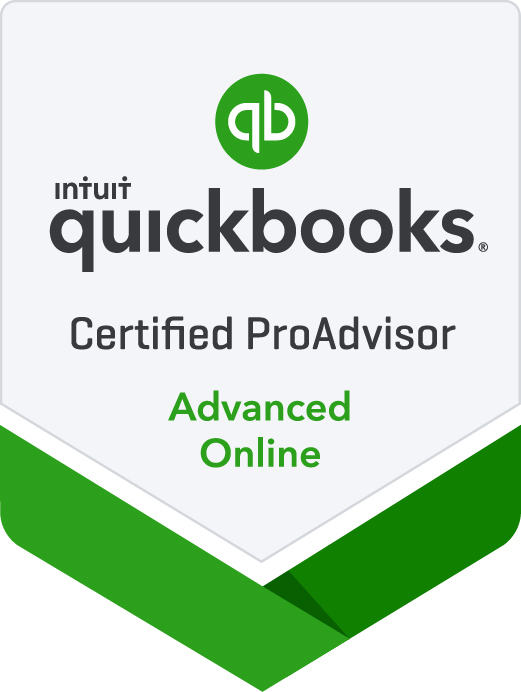 QuickBooks Services | Brandt Accounting Inc.
What is an Advanced QuickBooks ProAdvisor? And what people are saying about Jean as a ProAdvisor. A QuickBooks ProAdvisor is a professional self-trained and certified in setting up, maintaining and troubleshooting QuickBooks. A an Advanced ProAdvisor, is one who must have passed an extensive exam and have gained advanced expertise to better serve clients with complex business needs each year and must take an exam each year to remain current. Check out what others have written about Jean as a professional. There is no shortage of QuickBooks software solutions for your business. The QuickBooks suite of programs include multiple desktop and online versions with specialized options for contractors, retailers, nonprofits, and many others. QuickBooks is very affordable and facilitates accounting, taxes, reports, and even long-range planning. We are experts at installing, training, and utilizing the various QuickBooks programs. We will analyze the nature of your business, frequency of transactions, future plans, and other data in order to match you with the best version of QuickBooks for your business. We are adept at installing and updating QuickBooks. At our initial consultation, we will discuss your accounting needs, hardware and software requirements, and choose a start date for QuickBooks. Then, our experienced staff will install QuickBooks and assist with data transfer from your old accounting systems into the QuickBooks version of your choice. We will design and load your chart of accounts, item lists, and other options like payroll, inventory, accounts receivable/payable and so much more. After installation, we will test your software and generate reports to assure program functionality. QuickBooks can facilitate your bookkeeping and remove much of the difficulty involved with payroll, taxes, and virtually all other aspects of business accounting. It is designed for easy installation and intuitive understanding, but it can be a bit daunting without proper training–especially for first time users. Research shows that QuickBooks users only utilize 30 to 40% of its potential Our QuickBooks pros are available to train you and/or your employees. We save you time and aggravation by focusing on those features of QuickBooks you are most likely to use for your business. And we don’t abandon our clients once QuickBooks is up and running–our assistance is just a phone call or an email away. QuickBooks Online allows you to store your data on secure, remote servers and access it from your laptop or other device through an encrypted internet connection. There are no downloads or installations to worry about and no need to invest in an expensive network. QuickBooks Online mobile-friendly design is perfect for businesses with multiple locations, telecommuters, or sales people on the go. We have experience with all aspects of QuickBooks Online and are available for set-up and remote access support. Our tech-savvy pros will implement your decisions about who can access your accounting information and to what degree they can view, enter, or manipulate your data. QuickBooks Online is not quite the same as the desktop version, so don’t expect the same level of support from someone who claims knowledge of QuickBooks but doesn’t know the online version. We are QuickBooks Online experts. Contact us to make your transition to QuickBooks Online as fast, seamless, and secure as possible.